Home » Big Animals » Marathon, the Texas Longhorn! 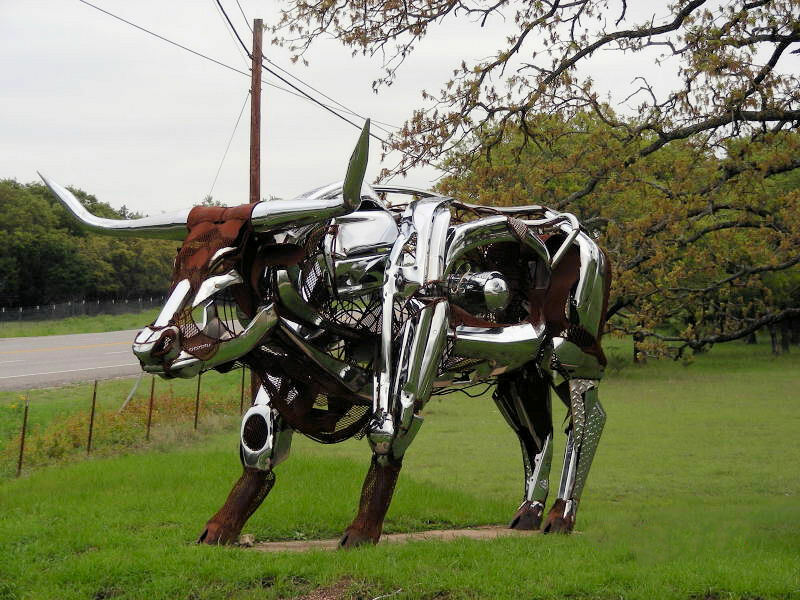 Robin shares this great image of Marathon, part of the large collection of sculptures at the The Benini Studio & Sculpture Ranch in Johnson City, Texas! This is the longhorn that is right down the road from my house. There are a few sculptures out in the field but this is the most impressive. Benini is a nice guy too. Was happy to show us around his studio. Wow, Bill, how cool is that!